If you are interested in buying or selling a privately held business or a franchise of any kind, you are invariably going to find your way to Transworld Business Advisors. This company was founded in 1979, has evolved to become the largest business brokerage in the United States and maybe the world. Transworld Business Advisors is a global network of hundreds and hundreds of business brokers with offices in most major cities. Clients benefit tremendously from this broad reach. When it comes to selling a business, nobody has a larger pool of potential buyers. On the other side of the coin, if you want to buy a business or a franchise, you have virtually countless different opportunities by working with Transworld Business Advisors. Transworld Business Advisors is a turnkey business advisory resource with tens of thousands of successful business transactions from Main Street to Wall Street. We have a proven refined system that we utilize to help both buyers and sellers. As a person who is interested in buying a business, you may not know where to begin. The Transworld Business Advisors systemic approach is intelligently crafted to guide you through the buying process through a series of well-defined, incremental steps. Ultimately, you can make a fully informed decision that will yield positive results. For sellers, Transworld Business Advisors provides a clear-cut pathway toward a successful transaction. Valuation is a key component, and the appropriate asking price for your business will be determined through the implementation of sophisticated valuation techniques. Confidentiality is also important, and there are legal and logistic issues to address. You get expert assistance on every possible level when you work with Transworld Business Advisors to facilitate the sale of your business. HealthCareBizSales.com is a division of Transworld Business Advisors, and our founder, Tom Jones, has a long history working with Transworld Business Advisors. 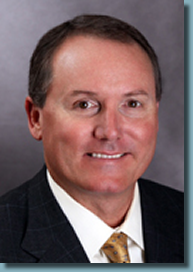 He started as a Transworld business broker in 1991, and he rose to the position of Vice President/Shareholder. Though Tom has facilitated many different types of business transactions, healthcare business and medical practice brokering are his areas of specialization. This led to the creation of HealthCareBizSales.com. If you are selling a medical practice or a healthcare business of any kind, or if you want to purchase one, Tom and Transworld Business Advisors represent the gold standard within the industry.